Wolfe Design House: Oh, BETSY! As the onset of winter seems to have just begun, I find myself dreaming about a little sunshine, a run on the beach and relaxing pool side. The BETSY hotel, in Miami, is just the place I'd like to go! 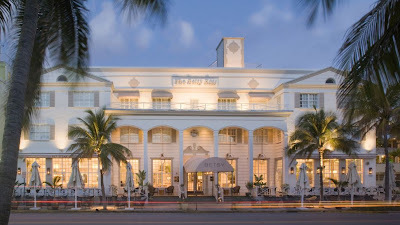 It's a small boutique hotel, rich with history and overflowing with punches of color, texture and orchids. The prefect get-away!